(S1) PARTNERS IN CRIME! E9. ~ CK Jacob: Nigerian Fiction And Lifestyle Blog. Episode 9 Title: The Surprise Twist. Adebiyi and agent Tomi from BIA agency arrived at Benin with the jet and they boarded a taxi. He gave the address to the driver and they went to the residence of the Engineer. They met a crowd inside the compound and he asked one of the men for the wife when he couldn’t see the gateman. Tomi introduced himself to the younger brother of the deceased. They asked after the wife. “Ok.” He alerted some of his relatives for them to leave. “If you find her, make sure you take her to the nearest police station and call me.” He gave him his number and collected his own. The cabman drove Adebiyi and Tomi to three transportation centers and she wasn’t seen. They showed her photo to everyone around and none of them saw her. “What if she lodged in a hotel to hide?” Tomi asked. They got to the fourth center and approached a female receptionist. Adebiyi showed her the picture and she recognized her. “For how long?” he asked eagerly. She told them and they thanked her. Adebiyi gave the driver more money for him to increase his speed, which he did. As he drove, he overtook some buses. They peeped at the front to check if she was there. It was when they got to the third bus they noticed her. The driver pressed his horn to distract the bus driver. He brought out his hand and waived him. The bus stopped. Adebiyi and Tomi came out and opened the front door. Some of the passengers murmured and others asked what the problem was. They explained and she was taken away. 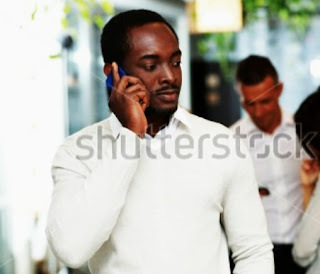 Few minutes later, Adebiyi called Tiwa and narrated what happened. “Oh my God!” Renee said to Genevieve after she was told. She was crying. “Why is this happening?" “No. It’s your husband life’s she wants and she will never get it." Joseph had received a call from Genevieve about the death of Dickson. He was in the bedroom with Lucky. After the call ended, he told Lucky about it. “This is unbelievable.” She said. “Of course.” Lucky came down from the bed, wore her slippers and left the room. Joseph knew why he asked her to inform his brother instead of himself. He had his plan and if she knew about it, she would stop him. His brother’s life was in great danger and he had to do something otherwise his mind won’t be at rest. Lucky who had gone to meet Sebastian found him walking towards the door with his car key in his hands. She told him to stop and listen to her but he bluffed her off. She raced to the window and called the gateman. He ran to the window side. “Don’t open the gate!” She ordered him. "This is not your house!” Sebastian told her. Lucky looked at the gateman. “Don’t you dare open the gate.” She gazed at Sebastian. “Wait for me!” She ran back to the room, opened the door and sighted Joseph in the bathroom. He was holding a small sharp knife close his face and was about cutting himself. The knife dropped from his hand. "What are you doing here?” He asked surprised. He picked the knife up. “Yes. I want to give myself a scar like the one on Sebastian’s face." “You will not.” Her face changed. They ran to the living room and met him watching TV. Lucky inhaled and relaxed herself in one of the sofas. “Who is chasing both of you?” Sebastian asked them. “I thought you went out!” She uttered. “I received a text from one of the clubs I go to before. Its’ been a while I went there alone. Today is a special night and there will be strippers to rock the men’s laps tonight.” He said cheerfully. “God have mercy!” Lucky exclaimed and stared at him with an expression he could not understand. “Sometimes I wonder how your brain works.” Joseph said in an annoyed tone. “Sure.” he grabbed his phone and handed it over to him. “You can join me if you like. Two or three is not a crowd.” He said and winked at Lucky. All she did was shook her head. She believed whatever can change Sebastian was prayers. “You see!” Joseph spat out angrily. “God saved you.” Lucky told him. “I am beginning to get scared.” Sebastian said quietly. “Call her and tell her you want both of you to be friends again.” Joseph told her. She sighed and agreed. She went back to her room to get her phone. She came back to the sitting room and called Kate. Kate had no idea that the contractor had mailed her husband in the afternoon to carry out his plan today. “No problem. How is your son?” Her voice was calm. Sebastian and Joseph looked at each other. He glared at him before walking away. Michael was shocked when one of the prison guards told him he had a visitor named Hector. He appeared thin and he had grown some beard that covered half his face. They met in a small room. Tiwa didn’t go inside. She remained outside and received Joseph’s call. “I can’t believe you came to see me.” Michael said as they sat down opposite each other. He told him about the threat to his life and the kidnap. “There’s no day I don’t regret what I did to Renee’s mother. Revenge does not pay or change anything, it only makes you worse.” He heaved a sigh. “Ndidi’s grandmother has a building here in Abuja. It’s not completed. It should be where she might be keeping your son if she’s really the one that took him.” He gave him the address. “Thank you. I’m grateful.” He rose up. “Don’t be until you get your son back.” he extended his hand and they shook hands. He smiled widely. “I will.” Hector left and went to meet Tiwa outside. She had called the inspector of police to write a warrant and send some of his officers to invade Kate’s house and search his house for a laptop or the list with the target's name. Hector told Tiwa about the address. She called the inspector to send a team down to the address while she and Hector would drive there. She also told Genevieve about it and asked her to join the officers at Kate’s house. Before Genevieve left Renee and her child, she promised her she would call immediately her son is found. Renee started to pray. Tiwa had brought out her pistol as they got close to the scene. Hector parked his car three houses away from the uncompleted building. The place was quite dark but they noticed a faint light coming out from inside. The area was quiet. 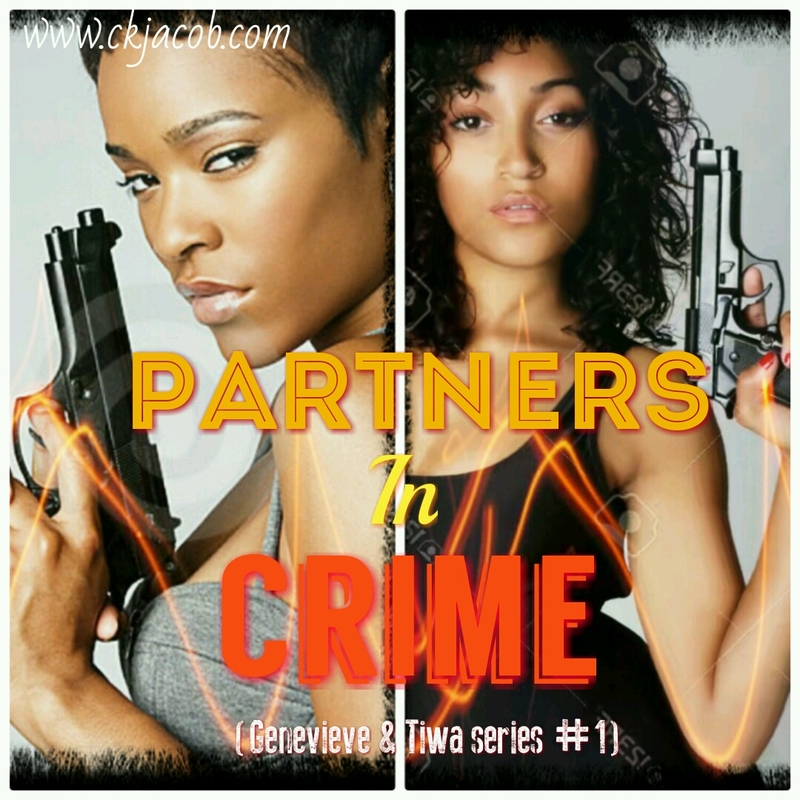 “Don’t you think we should wait for backup?” Hector asked Tiwa as she stepped towards the building. She nodded and tiptoed to the house. She moved around the place gently and peeped through the window. She could hear a female voice arguing over the phone. Tiwa didn’t bother to listen anymore. She entered through another door and brought out her phone for light to see. Her phone made a sound for a message alert. She quickly turned it off. “Who is there?” the female voice asked. Tiwa could hear footsteps coming her way. She turned to her left and stayed quiet. A woman came forward to check if there was an intruder. She was holding a knife. She responded and Tiwa pushed her to where the boy was. He was sitting and looking scared. “My dad?” he asked surprised. He ran and went outside. Hector ran towards his son and carried him up. He was shedding tears of joy. He called Renee instantly to tell her the good news. All she did was fall on her knees and sang songs of praises. Ashley who couldn’t see Sebastian in the club. He went back home. He thought something had happened to his wife when he saw people around his house and he drove inside. Genevieve had searched his room and found the jotter, the list and his laptop. He was arrested. Ndidi, Mrs. Dickson and Ashley had no idea what the contractor looked like. It was still the same old story. Genevieve made a call to the inspector and he sent three officers. She dropped her phone and was able to ask after Freddie when she saw an elderly woman coming towards her. “Mother!” She hopped on her feet and hugged her. She clapped her hands, pecked Quincy and left to the bedroom. Adebiyi carried Tiwa into the bathroom to help her scrub her back and bath her. “You always pamper me.” she said. At 9:30pm, as Genevieve and Quincy were about to go and sleep, they heard a knock on their door. “Who could that be?” Genevieve asked. He opened the door and allowed him in. “What is it?” Tiwa asked and stood. “But you should have called me instead of stressing yourself.” Quincy said. “I had to come here sir.” Akin said. “I don’t know the person personally but the name sounds familiar.” he brought out the list and gave it to him. They glanced at the name and froze in shock. A loud knock on the gate woke Tiwa and Adebiyi up. They were confused at who was knocking on their gate at the late hour of the night. Two of them went downstairs. Adebiyi opened the door to go check outside. He was dazed to hear Quincy’s voice. He allowed him inside and saw Genevieve with him. “I hope all is well?” He asked them. “We need to talk.” Quincy said. Adebiyi led them inside his home and Tiwa widened her eyes when she saw them. Genevieve told them what Akin was able to do. You should have called us on the phone.” Tiwa said. “It’s not what should be discussed on the phone.“ Genevieve brought out the list for them to look at the last number. wow..Carina you never seize to amaze me with the way you put your stories together. .this is very interesting, amazing,and unpredictable. ..keep soaring high my dear.. Bomb ! Eureka Tiwa's ex boyfriend is the contractor.! Right ? Oh my God..adebiyi Gold jezz,save his life ooh,he has really change don't let his past come after him.carina you keep on surprising us, Nice one bae. I knew it will get to this! That contractor is an insider that knows all their past. The next person will be Tiwa's father and by then they will not only wait for contractor to be online but will go offline too to search for him. Cos that contractor is an insider. This so thrilled and full of suspense! See you in next episode and please increase the speed, I was so tired of waiting for you on Sunday. I love you too Lucy! I will try o! No vex. Wow! hmmmm And I say again that Dotun is a suspect. I am watching you in 3D. Ahnahn Carina, I've been refreshing your page since yesterday. Thanks our ever amazing CKJ.